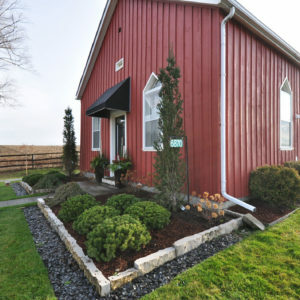 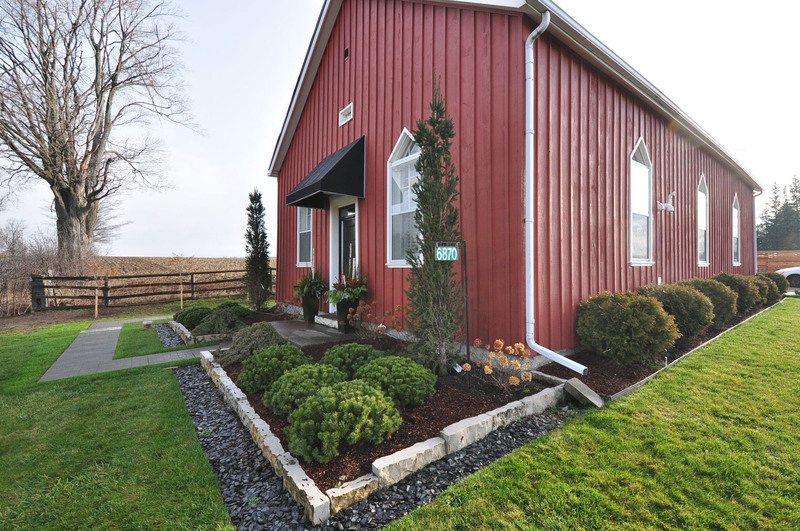 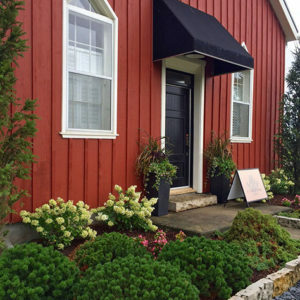 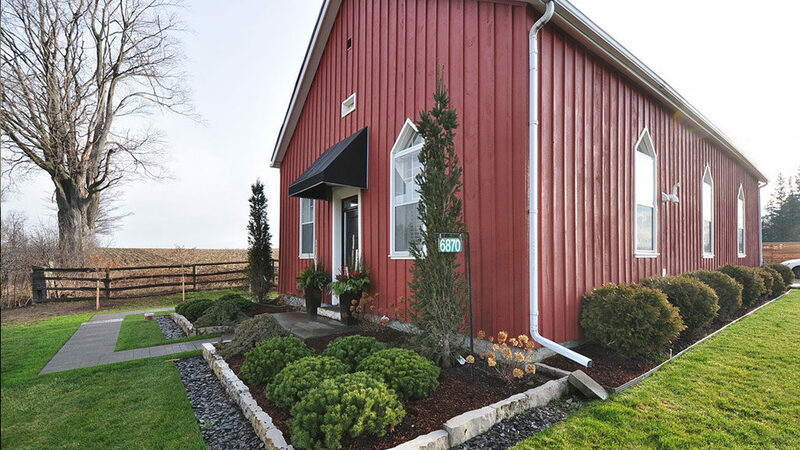 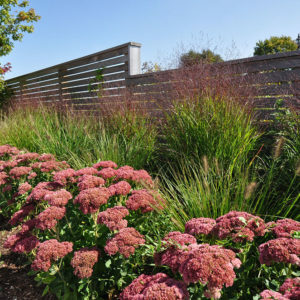 An architectural approach was used for the planting design using repetition – Globe Cedars along the side, symmetrical foundation beds at the front, or tiered planting in the front of the architectural fence at the back. 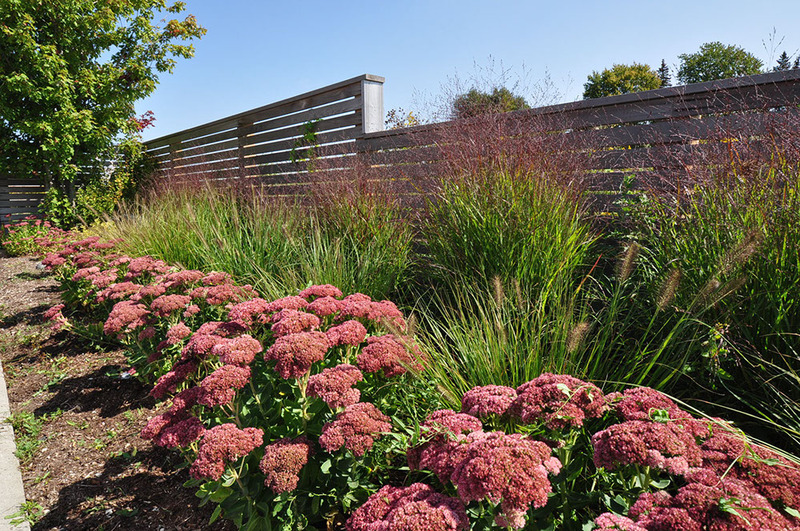 Texture, contrast, and strong geometry characterize the front foundation beds with the use of a split face Wiarton wall masonry stone as garden edging – it’s buff hues set off with a border of charcoal grey slate chips contained by a clean metal edging – also an effective mowing strip. 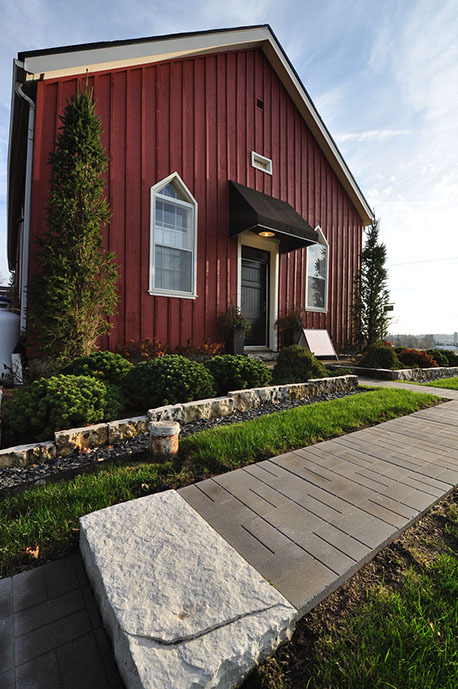 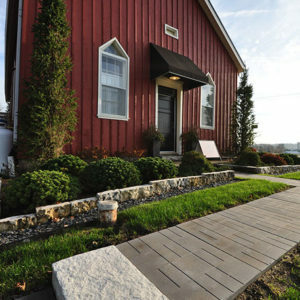 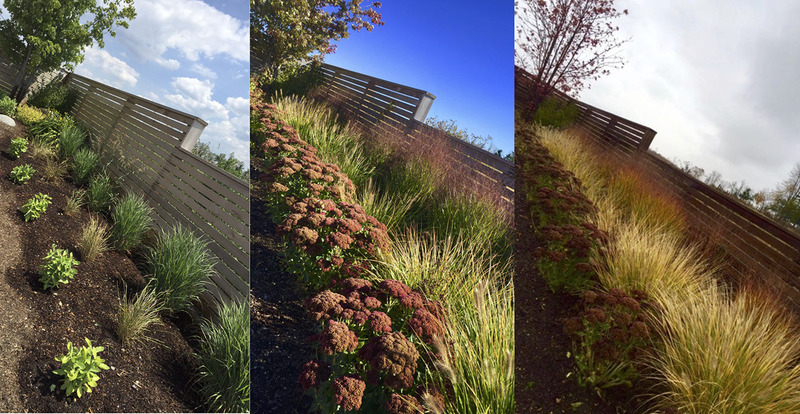 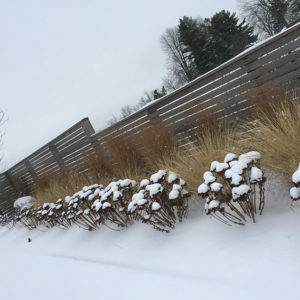 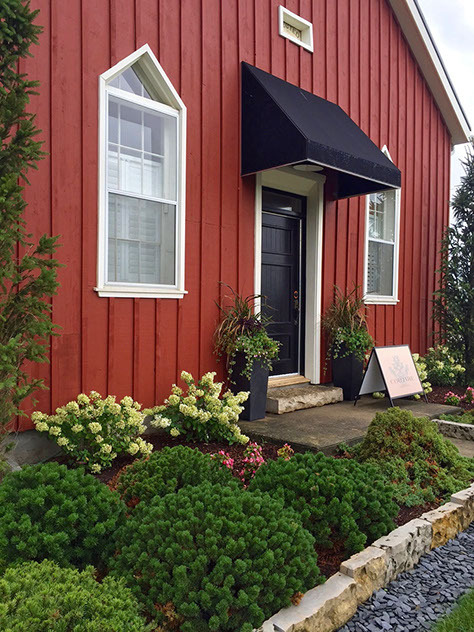 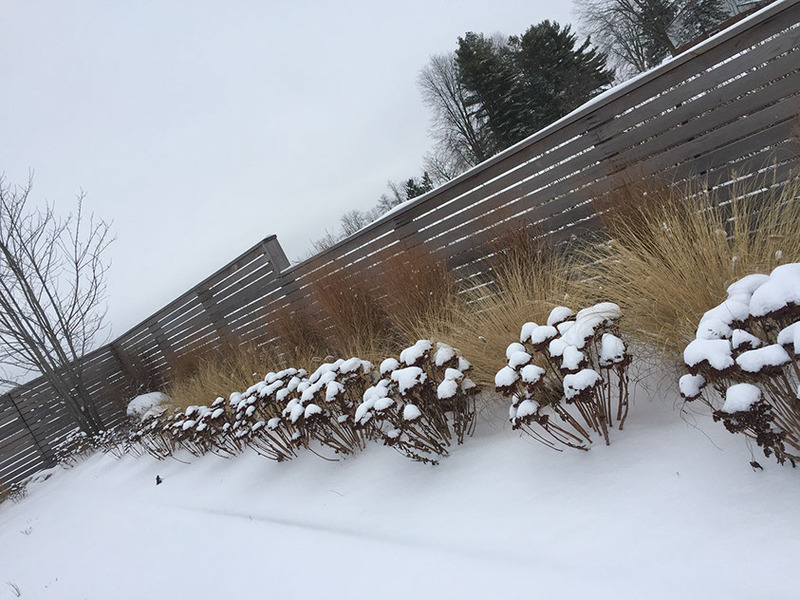 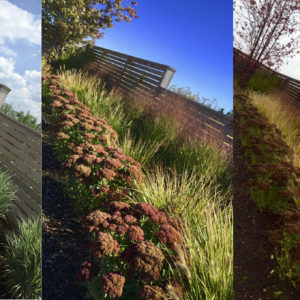 The planting between the driveway and iconic modern fence was designed to be as aesthetically pleasing in the winter as in the fall and later summer when the skeletal form of the Sedum and contrasting colours and textures of the native grasses formed a visually pleasing composition.